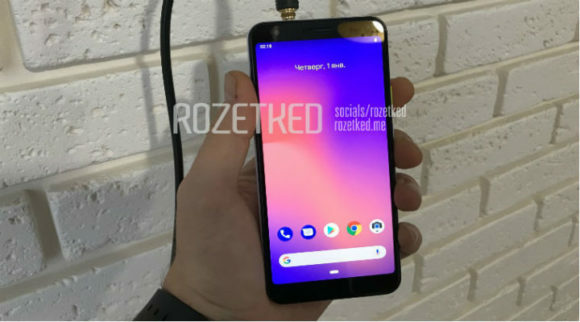 We have seen several leaks and renders on Pixel 3a and Pixel 3a XL; these are the upcoming Lite versions of Google Pixel 3 smartphone. Today in Google Store, the company itself linked to Pixel 3a with ‘NEW’ tag indication in their ‘Phone’ drop down menu; However, the link now seems to have been removed. So it is now confirmed that Google Pixel 3a will be coming very soon to the market. The 3a will be the Lite/striped down version of Pixel 3 and which will lie in mid-range price segment. Also some information regarding Pixel 3a XL have been spotted on the Google Play Developer Console. The Pixel 3a which is code named as ‘Bonito’, also listed on Play Developer console few months back. It also shared some details of the phone which include 4GB RAM, 5.6-inch screen with 1080x2160px resolution with 18:9 ratio and Android Pie OS. Similarly the Pixel 3a XL which is code named as ‘Sargo’ also listed with specs like 6-inch Screen with 18.5:9 aspect ratio. The Pixel 3a could sport Snapdragon 670 SoC and 64GB internal storage, while the bigger version could feature Snapdragon 710 SoC. The Launch of the above Pixel phones is expected in mid-2019 launch expected, stay tuned with Alloftop for more updates.